KJV Complete Bible. 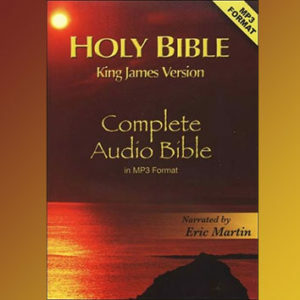 Listen as he brings out the richness and timeless poetry of the King James Bible, imparting its divinely inspired truth in a sincere, compelling manner. Enrich your spiritual life and add new dimensions to your understanding. 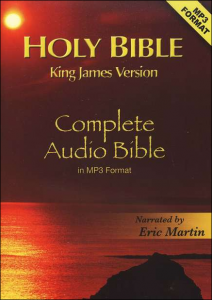 Complete Old and New Testament Audio Bible King James Version in condensed MP3 Format and narrated by Eric Martin.